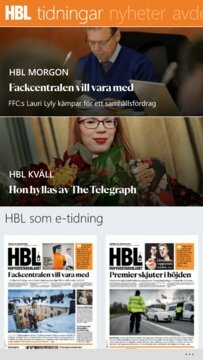 HBL 365 is Finland’s largest digital content provider in Swedish. 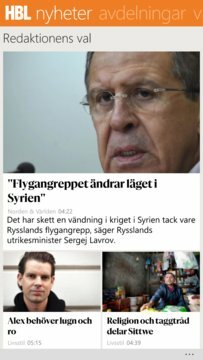 By downloading our app you get access to a huge selection of digital resources: the e-papers HBL, Östnyland and Västra Nyland, a large selection of current videos, lots of interesting blogs, the local weather – and naturally a constantly updated news feed. HBL 365 is handy to use and easy to navigate. You can find and access all content whenever you like, wherever you are. HBL 365 is at your fingertips, every day of the year!